Meylie, who just turned 8, and her little sister, Ashley, age 3, live in a typical Nicaraguan village home in Laguna Francisco, northwest of the capital city, Managua. Their father, Nacho, is a highly skilled woodcraftsman who has made beautiful hard word furniture, doors, and window frames for Casa del Sur. Above: Nacho working hard @ Casa del Sur. Below: His awesome work. During our last trip to Nicaragua, I had the pleasure of getting to know Nacho while he worked at the house everyday for a week revarnishing and re-screening windows with the help of his teenage son, Harrison. On his first visit, Nacho brought the girls who I entertained with orange juice, frosted cookies, bananas, peanut butter, and my poor Spanish skills, while he and R talked house business. Meylie, an outgoing, respectful, and helpful girl with seeming confidence urged her coy little sister to follow in her ways as she led Ashley around the house, often speaking for her. They were both extremely considerate, grateful, and ate and drank everything I kept giving them- soon, however, what I thought to be hunger was actually politeness when I realized how full they were getting! Store bought peanut butter and homemade cookies were an extreme rarity for these two, so naturally, I became their best friend. Through the course of the week, I prepared lunches for Nacho and R, and had the best conversations about life one could have in broken Spanish and no English. I even taught Nacho and Harrison a few yoga asanas, which they were pretty successful at achieving, especially in meditative laughter. The day before I had to return to the states, Nacho brought his girls over to say goodbye. I just so happened to be making cupcakes in the heat and humidity. The girls were wide-eyed and ecstatic when they realized what I had planned for them. For Meylie and Ashley, cupcakes, or pastelitos, are those rare sweet delicacies reserved for special occasions such as quinceañeras, weddings, and sometimes birthdays. They’re never homemade, since village kitchen stoves consist of raised fire pits surrounded by cinderblocks, and no ovens. Baked goods are expensive and bought at a panadería (bakery). The pictures above were taken of a typical Nicaraguan village kitchen in the area. Kitchens are outdoors, rustic, sometimes contain a small garden, and use hammocks and plastic chairs for sitting areas rather than dining room style tables and chairs. This was a very fun day for Meylie and Ashley at Casa del Norte as they helped with stirring ingredients, pouring cupcake batter, and doing the honorary child’s duty of licking the spoon and bowl. It was their first time making pastelitos, and just when they thought they were finished, as the little neatly wrapped cakes came out of the oven, I gave them the ingredients to make their own icing. For me, it was awesome seeing their giddiness at stirring and tasting the icing, adding more milk and powdered sugar here and there, then frosting their own cupcakes. I was charmed with the observance of this endearing commonality between children everywhere, as Meylie and Ashley appreciatively indulged in the awe moments and simple pleasures of baking cupcakes. The best part was when the girls bit into their warm, freshly iced pastelitos, and stared squinty eyed at one another, grinning from ear to ear in complete satisfaction. The following recipe is climate adapted and uses the simplest ingredients, most of which can be found in the area. Soymilk, which I purchased in the city about an hour away, can be substituted with regular milk. Rum can always replace vanilla. I used a sugary icing rather the usual cupcake buttercream due to the climate. Buttercream would just melt and be a disaster, as icing would stay put. Most village homes do not have refrigerators. I purchased my cupcake pan and paper at HomeGoods in California and brought them down to Casa del Sur, like most of our specialized baking ware. In a larger bowl, cream the butter and sugar. Stir in the egg whites, (soy)milk, and vanilla. Stir the flour mixture into the wet batter and mix thoroughly. Fill cupcake wells halfway full. Let cupcakes cool to room temperature (which is a humid 90°F in the Nica cocina!) before icing. In a medium sized bowl, pour in powdered sugar. Start with about a cup’s worth. Stir in ¼ to ½ tsp of vanilla. Stir in a teaspoon full of (soy)milk at a time until you get the desired consistency. The icing should be thick, not runny. In mild weather, this type of icing would eventually harden on desserts. If your icing is too thick, add a little more milk. If it’s too runny, add more powdered sugar. After 3 cupcakes and two glasses of milk each, Meylie and Ashley excitedly wrapped the rest of their pastelitos, sealed the container of extra icing, and eagerly anticipated sharing their treats with their mom and siblings. (Giggling to myself as I type) I’m sure I’ll be seeing those two again soon! 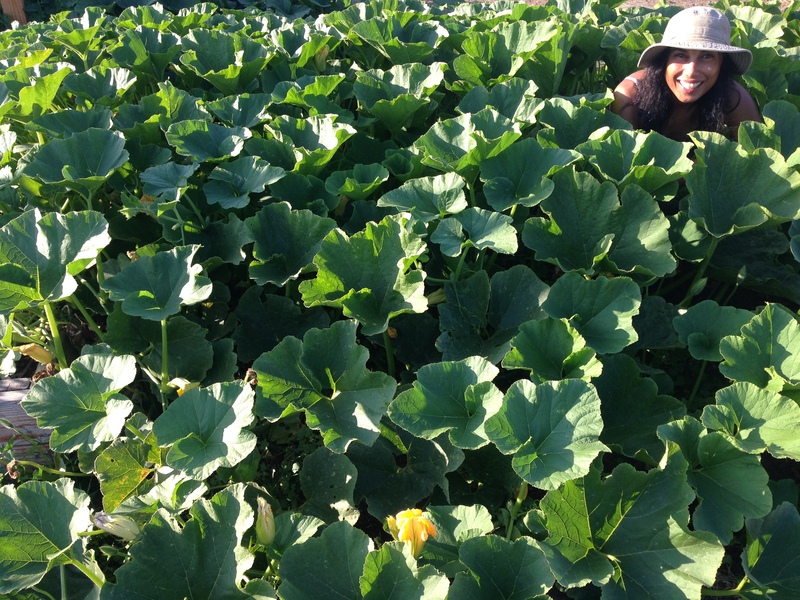 Next Next post: Lomita Farm Cookout: Chile roast, tomato stew, and squash showdown!